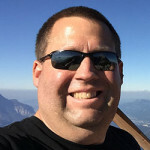 JohnHurlbut.com | Making New Habits . . .
Making New Habits . . . Since having my surgery, I’m trying to build new habits. Somewhat because I want to, but mostly because I have to. With the Lap Band, the amount of food you can eat is pretty restricted (a good thing for me!) and so you end up on a pretty regimented vitamin program. 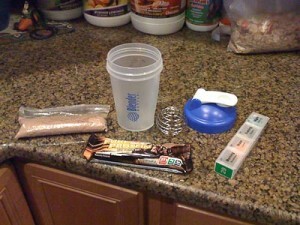 Also, in order to get the nutrition you need, you need to take in additional protein in the form of shakes and bars. So gone are my habits of swinging through a drive-thru every morning, afternoon and in some cases evening. It’s just too hard to find anything to eat (again, a good thing!). But it left me with the dilemma of what to do when I’m hungry? And How do I remember to take all these vitamins and minerals every day? What about the protein shakes? Well, I think I’ve found an answer to all of the above and it just required a bit of innovation and web surfing. So the first thing was how to remember to take vitamins and minerals every day at different times per day. If I could get away with taking everything in the morning, it wouldn’t be an issue. But I have to take certain things at certain times of the day. I’m horrible at remembering things like that. So I was on the hunt for a pill organizer. The ones I found at Walgreens, etc. just didn’t do it for me. Plus, I wanted to just be able to do a month at a time, so I only had to think about it once. 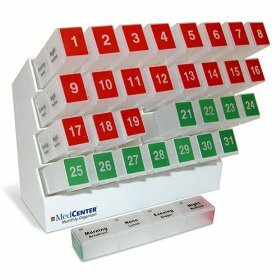 I found the MedCenter monthly pill organizer. It’s pretty slick. It holds 31 pill cases, each case has four dividers (Morning, Afternoon, Evening and Bedtime). So now at the end of the month, I just line up all 31 and open up all the doors and fill it for the whole month. The sleeve has red on one side and green on the other so you can remember which ones you’ve taken and which you haven’t. So next up, what to do about protein shakes and what to do when I get hungry between meals? The answer to the latter ended up being protein shakes and protein bars. The answer to the former started out taking a couple different forms. 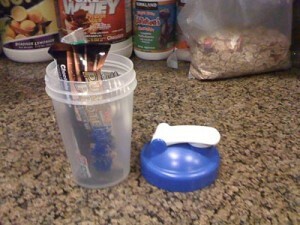 The first was the free “shaker” cup I got from the VitaLady when I originally bought all my vitamins. But the lid didn’t seal very well and I ended up on more than one occasion with chocolate protein shake on my shirt. Next up was a Rubbermaid 20oz bottle. That worked OK, but the mouth was too narrow to get the scoop of protein in easily so I ended up either using a sheet of paper as a funnel OR got protein powder everywhere. Not ideal. 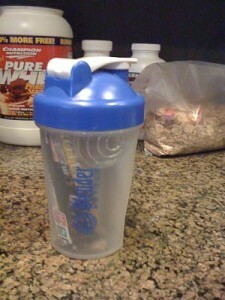 When I was in Super Supplements the other day, I happened across the Blender Bottle. This thing is COOL! It’s a widemouth bottle with screw on cap. In addition, it’s got a mini “whisk ball” that comes with it. When you put your water and protein powder in along with the whisk ball, the whisk acts to keep the clumps out of the protein powder. It’s AWESOME! There’s nothing worse than taking a big gulp of a protein shake and getting a huge clump of protein powder in your mouth. It’s really gross. So now, my Blender Bottle acts as my carrying case for the days items. I put a small zip lock baggie with a measured amount of protein shake in it, my vitamin sleeve for the day, a protein bar and the whisk ball all inside and seal it up for the day. So now I’ve got two “meals” to keep hunger at bay, my vitamins and the bottle to mix the protein shake all in one handy bundle. 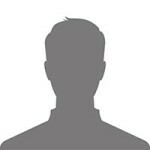 See the photos below for the “kit”. Works Awesome!